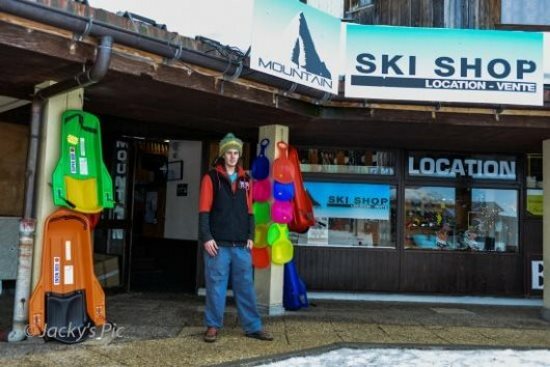 Welcome to Mountain Ski Shop - ski equipment rental shop in Samoëns 1600: a smiling staff, low prices and rental of skiing equipment maintained daily. Rent your skis or snowboard online as well as all the necessary equipment (shoes or boots, poles and helmet) and enjoy discounts from -20% to -40% depending on the period! You want to film your exploits or spend a relaxing day in the snow with your children? Polo and Pierrot offer rental GoPro, helmets, sledges and snowshoeing, enjoy! Polo and Pierrot welcome you and know every day with a smile from 8h to 19h. Discounts from 20% to 40% if you book online and special offers for groups. Barely through the door of the shop, you are on the ski slopes in Samoëns 1600! We accept cash, credit cards, checks, and checks ANCV. 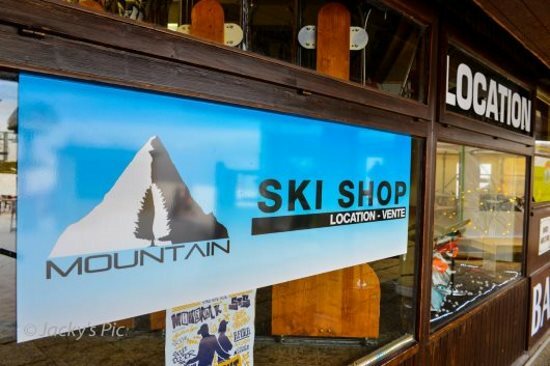 Welcome to Mountain Ski shop, located in the arrival of the gondola Vercland the slopes! We offer for rent a wide selection of skis and snowboards, shoes and boots, helmets and sticks and even GoPro cameras and toboggan! We pay special attention to the maintenance of our products so that you enjoy your stay in the best conditions. We also have various accessories: glasses, masks, hats, socks special … sale, always at reasonable prices. Being on the slopes is not necessarily synonymous with high prices. All year, we offers discounts on already competitive prices: Reductions of 20% to 40% by booking online and special discounts for groups! Then please use our online reservation system or to contact us directly. The plus of the Mountain Ski Shop: heated and free lockers for our customers! Leave us your equipment after your day of skiing and enjoy dry and warm shoes daily. Polo and Pierrot wish you a good visit and hope to see you soon at Mountain Ski Shop Samoëns 1600.